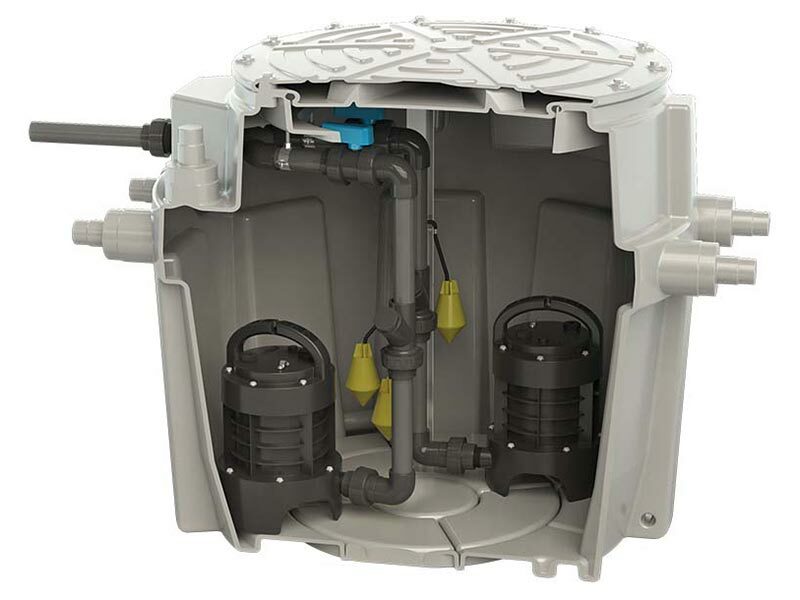 Sanifos 110 is an automatic lifting station that can be used for pumping residential or industrial waste water when the sewer is at too high a level for natural gravity drainage. 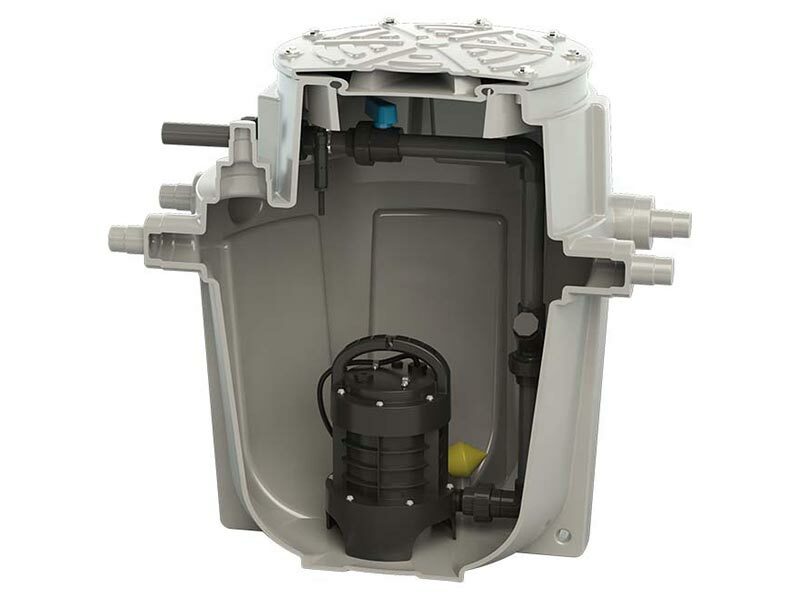 It consists of a 110-litre tank and a pump with a float switch for autonomous operation. 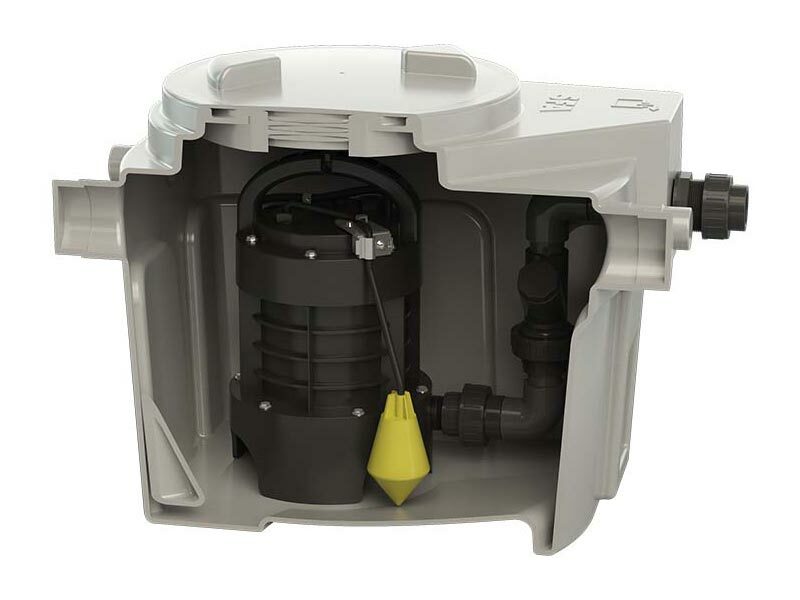 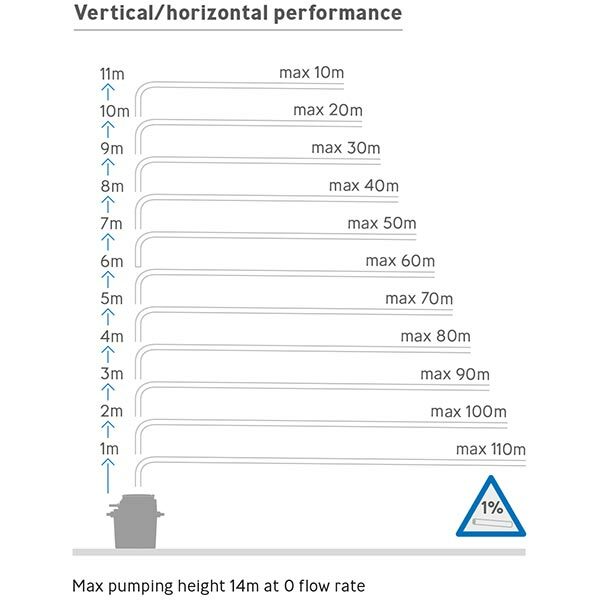 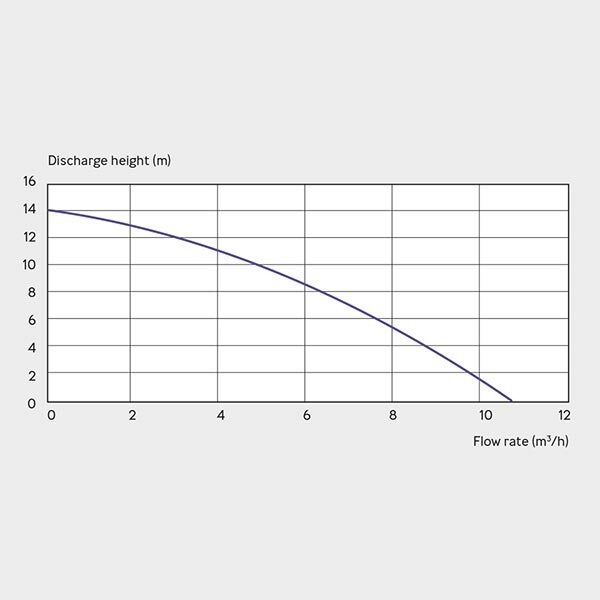 Its pump incorporates the Saniflo grinding system, allowing evacuation through small diameter pipes without clogging. 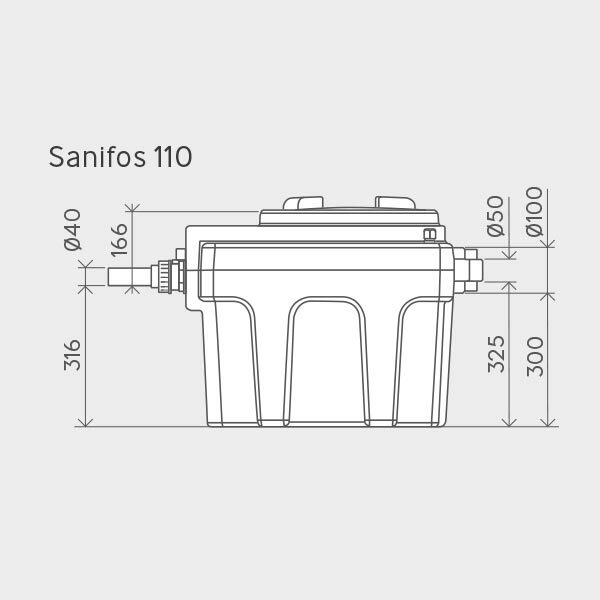 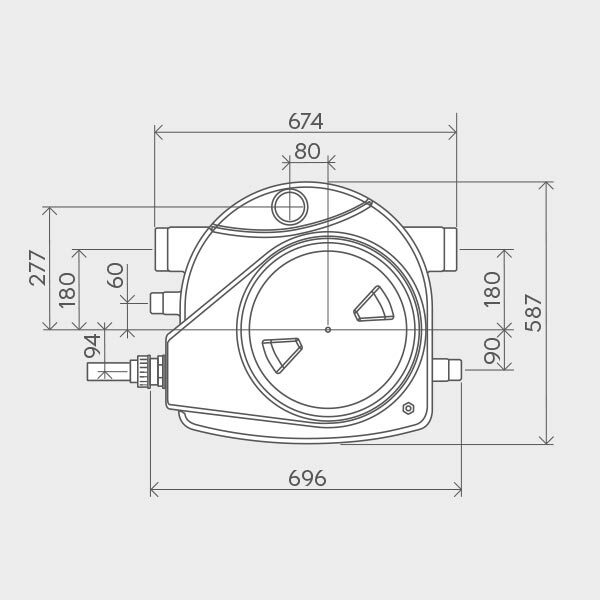 Sanifos 110 is supplied with pre-assembled hydraulics and a cable gland for the motor cable. It offers four inputs with different diameters for easy installation. 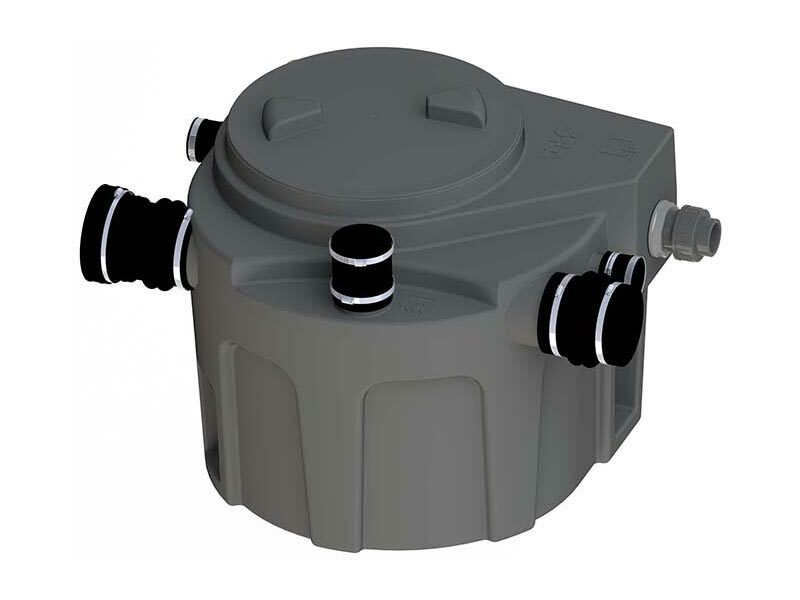 It has a self-cleaning tank bottom that avoids any risk of sedimentation in the bottom of the tank.